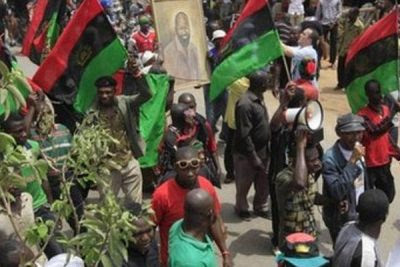 The Defence Headquarters has branded the Indigenous People of Biafra (IPOB) as a “militant terrorist organisation’’ and urged parents to dissuade their wards from joining the group. 3. From the foregoing, the Armed Forces of Nigeria wishes to confirm to the general public that IPOB from all intent, plan and purpose as analysed, is a militant terrorist organisation. Therefore, parents and particularly unsuspecting residents of the South East and other Nigerians should advice their wards to desist from joining the group. 4. The Defence Headquarters restates its commitment to handling all the security challenges in the Country and further assures all Nigerians of the protection of lives and properties.